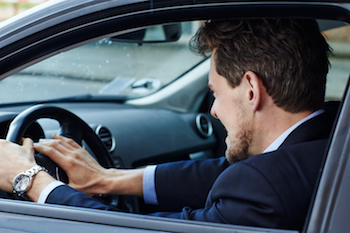 In a prior article, we discussed the difference between Road Rage and Aggressive Driving. The Miami Herald – What’s Driving Us To Road Rage? How a Traffic Dispute Can Turn Violent is addressing the issue again as road rage is on the rise in Florida and across the country. What is driving people to honk their horns, give the middle finger, point a gun in one’s face, use a baseball bat on another’s vehicle, or run someone off the road? When did drivers become so discourteous, impatient and violent? Are you an aggressive driver? A study by the AAA Foundation for Traffic Safety shows the odds are that you could very likely be one of the eight million U.S. drivers engaged in extreme examples of road rage. The report shows that nearly 80 percent of drivers expressed significant anger, aggression or road rage behind the wheel at least once in the past year. AAA reports also show that 56 percent of fatal accidents involve at least one form of aggressive driving. According to Florida Highway Patrol traffic, construction, and impatience are often the cause. A 2017 study by INRIX showed that Miami was the 10th most congested cities globally. This, coming after a 2014 AutoVantage’s In the Driver’s Seat Road Rage Survey, which identified Miami as having the seventh least courteous drivers across America’s largest cities, followed by Orlando 8th and Tampa ranked 15th. The Miami Herald article showed that last year, the Florida Department of Transportation reported that aggressive driving-related fatalities had increased by 12 percent since 2011. The state counted 1,873 such deaths from 2011-2015. Focus on and pay attention to your own driving. Give yourself plenty of time to get where you are going and be prepared to “share” the roadway. Avoid dangerous driving habits like speeding, tailgating and cutting others off. If there are drivers around you who are displaying these behaviors, stay calm and put distance between you and the other driver. Do not take their actions personally. Do not make eye contact and just let them go by. Do not over react, engage or retaliate. If necessary, call 911 or contact Florida Highway patrol by dialing *FHP on your cell phone and report the vehicle. DO NOT GO HOME, pull over, or get out of your car – instead go to the nearest public place and honk your horn to get attention and help.